Weary children, having completed a range of tests and exams, are sighing with relief, winding down and looking forward to a week off school to let off steam. From their parents, however, you may hear groans and anxious gnashing of teeth! Yes folks, brace yourselves…..half term is here! Fortunately, as it’s the spring bank holiday, the weather is starting to warm up. Entertaining the kids should be a little easier, too! Staying on plan with Slimming World can be a challenge when you’re out and about, but with a bit of forward planning, you can achieve an A*grade at your next weigh-in. Maybe you’re considering a day out. A trip to the park? The Seaside? The Zoo? I like to plan my food for the day before we set off. If I’m going somewhere familiar, I sometimes decide to eat out with the family, making sensible choices and ‘staying on plan when I can’. Obviously, the only to way stay 100% on plan is to take your own food with you. In this way, you can be absolutely in control. 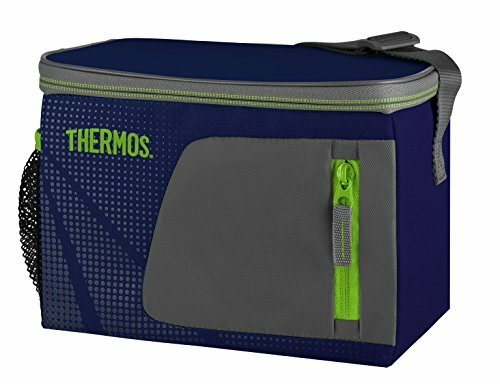 You’ll need to have a cool bag that will keep your food chilled. The majority of supermarkets will have them on display in the ‘seasonal’ aisle right now. Or you can pick one up from Amazon. 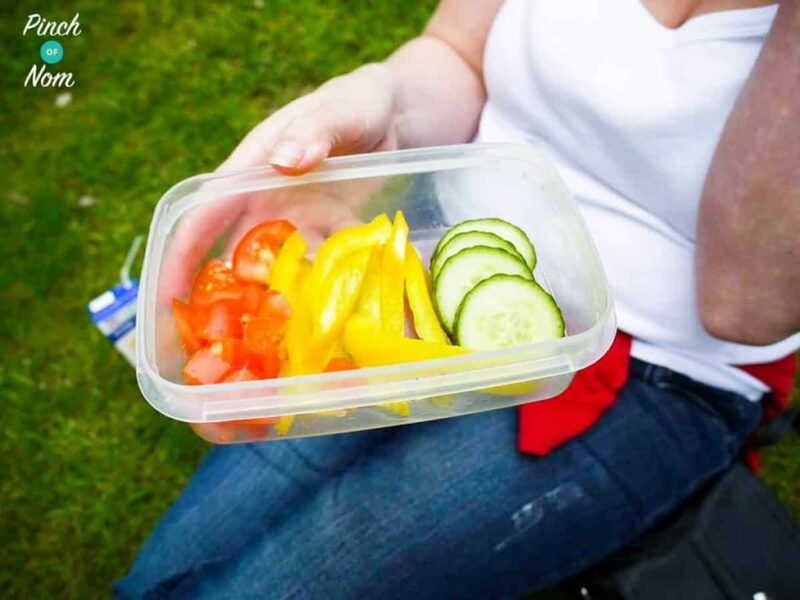 It’s a good idea to collect a range of food storage containers to pack your picnic in. 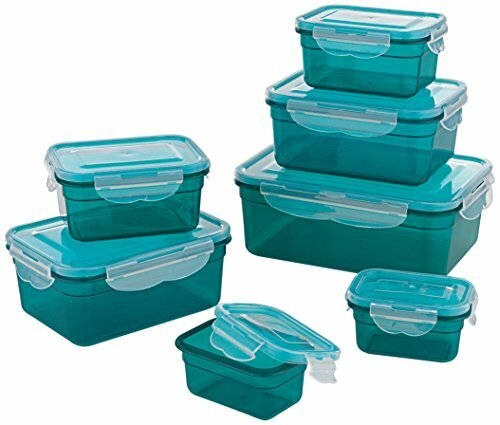 The containers can then be recycled, or washed and reused at a later date. 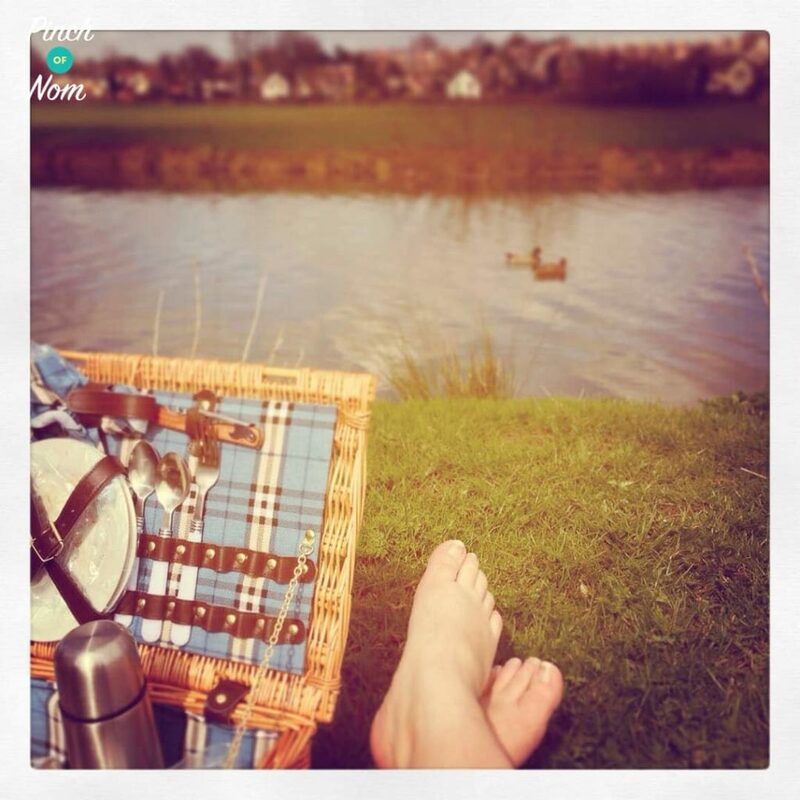 There are so many things that you can make to take on a picnic, from scotch eggs, to quiches, to chicken skewers, hummus and dips. Prepare vegetable crudities, carrot sticks, celery sticks, baby sweetcorn etc. 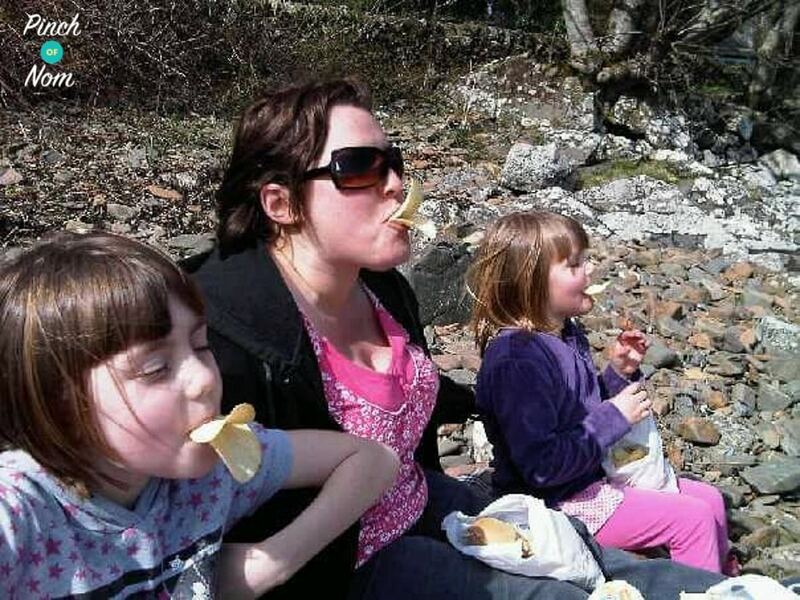 to eat with the dips. 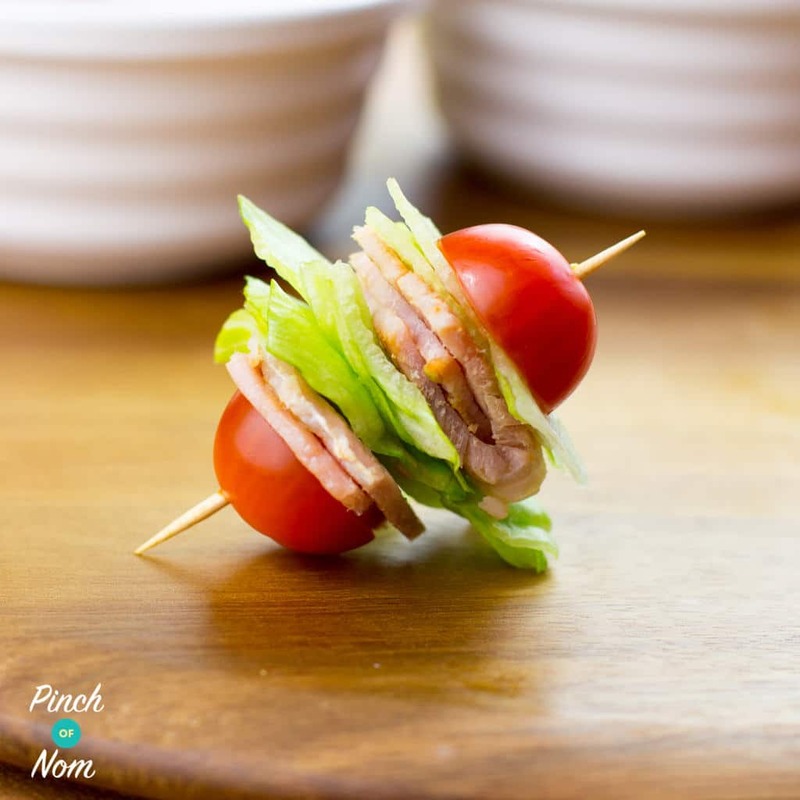 You could even have our Syn Free BLT Bites! They’re great to munch on too. A bag of prepped salad leaves saves hassle. 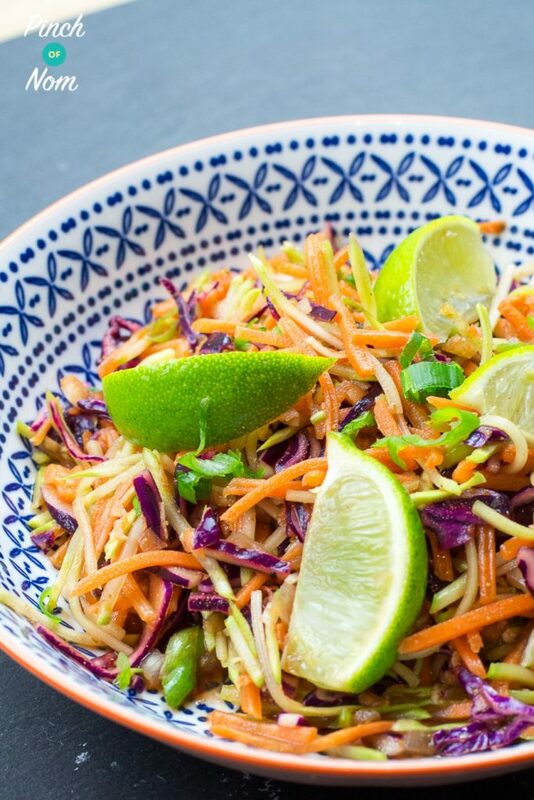 Why not make some Syn Free Potato Salad, or some of our Syn Free Mexican Slaw to go with it? 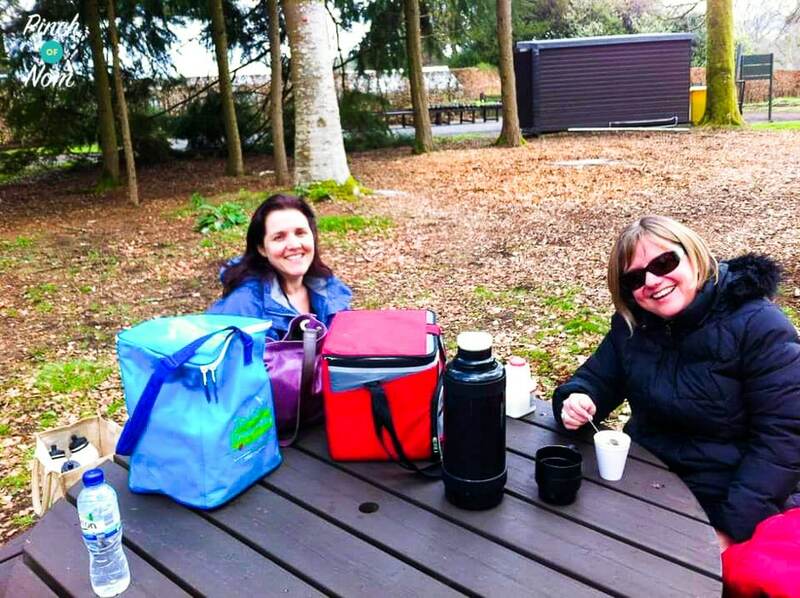 The last time I took a picnic out with me, I made a courgette and butterbean frittata, took a bag of salad leaves, a punnet of cherry tomatoes, some sliced cucumber and a pot of pickled onions, gherkins and beetroot. The pickles make a great addition to a salad, lots of real crunchy textures and vinegar gives a real kick to it. I find that I don’t even need a dressing with the salad. You might want to make a rice or pasta salad for your picnic. 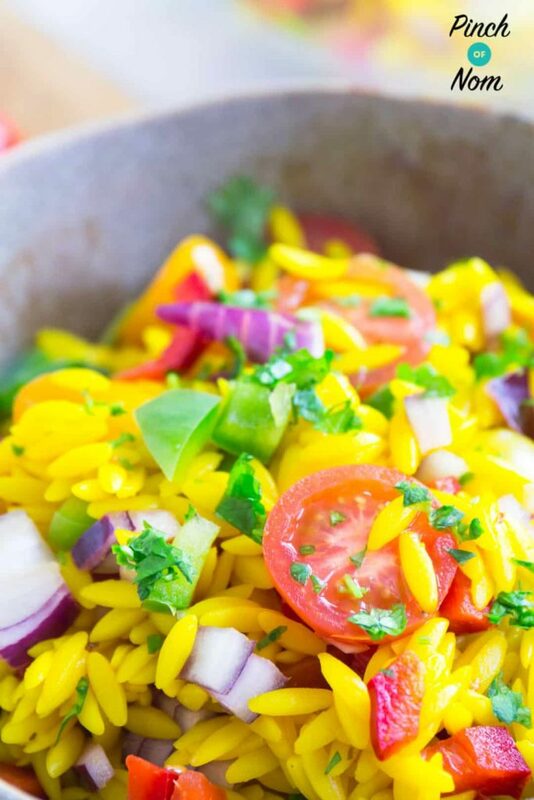 Our brightly coloured Syn Free Orzo Primavera Pasta Salad is great, or you may want to try our Syn Free BLT Pasta Salad. 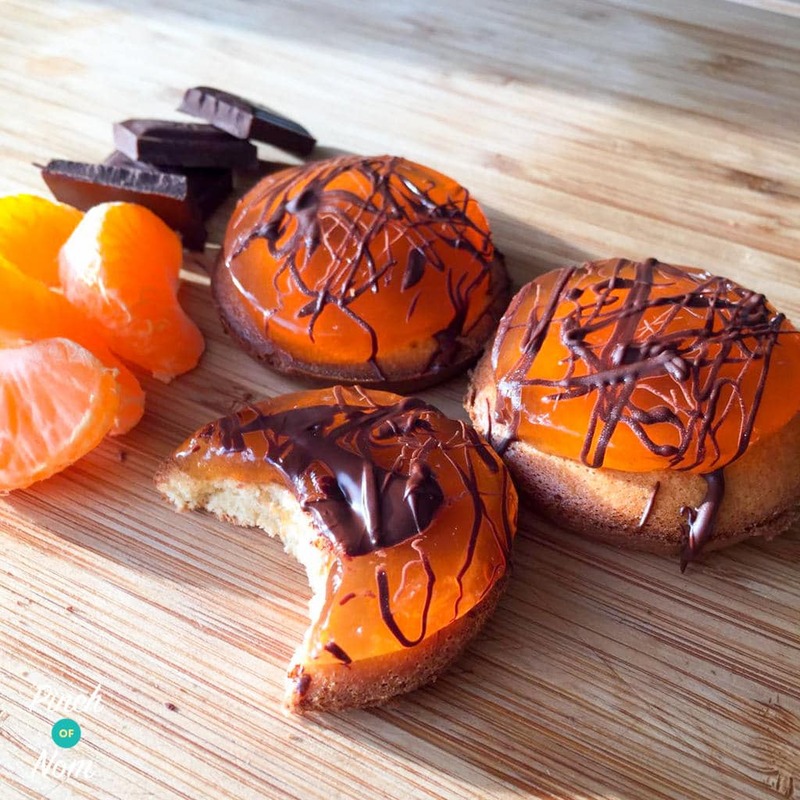 How about a Jaffa cake for a sweet treat after lunch? Make sure you stock up on fruit and veg to snack on throughout the day. Speed is the key to staying firmly on the rails! Besides, if you manage to save your syns through the day, there may be time for an ice-cream with the family, or even a well-deserved glass of vino when you get home in the evening! Above all, enjoy your day out.